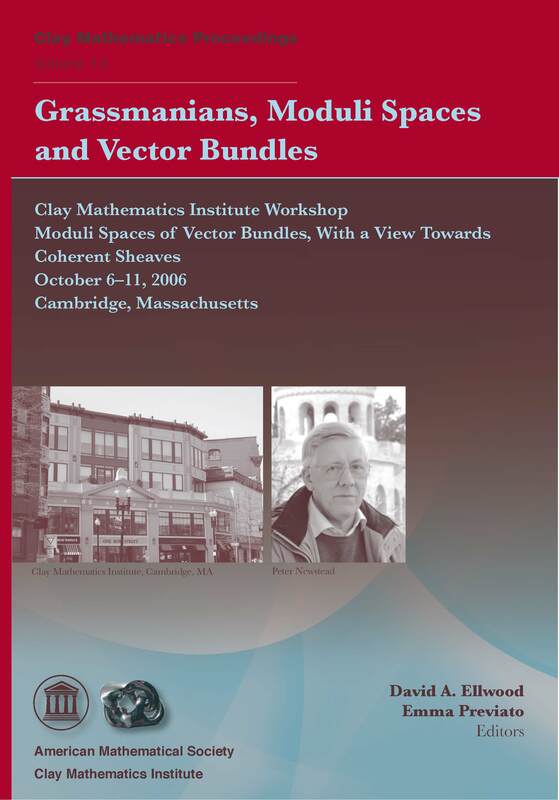 This collection of cutting-edge articles on vector bundles and related topics originated from a CMI workshop, held in October 2006, that brought together a community indebted to the pioneering work of P. E. Newstead, visiting the United States for the first time since the 1960s. Moduli spaces of vector bundles were then in their infancy, but are now, as demonstrated by this volume, a powerful tool in symplectic geometry, number theory, mathematical physics, and algebraic geometry. In fact, the impetus for this volume was to offer a sample of the vital convergence of techniques and fundamental progress, taking place in moduli spaces at the outset of the twenty-first century. This volume contains contributions by J. E. Andersen and N. L. Gammelgaard (Hitchin's projectively flat connection and Toeplitz operators), M. Aprodu and G. Farkas (moduli spaces), D. Arcara and A. Bertram (stability in higher dimension), L. Jeffrey (intersection cohomology), J. Kamnitzer (Langlands program), M. Lieblich (arithmetic aspects), P. E. Newstead (coherent systems), G. Pareschi and M. Popa (regularity and generic vanishing on Abelian varieties), and M. Teixidor i Bigas (bundles over reducible curves). These articles do require a working knowledge of algebraic geometry, symplectic geometry and functional analysis, but should appeal to practitioners in a diversity of fields. No specialization should be necessary to appreciate the contributions, or possibly to be stimulated to work in the various directions opened by these path-blazing ideas; to mention a few, the Langlands program, stability criteria for vector bundles over surfaces and threefolds, linear series over abelian varieties and Brauer groups in relation to arithmetic properties of moduli spaces.